"We're going on a picnic and I'm bringing..." This is the theme for this month's Creative Cooking Crew challenge. It's only fitting considering the month ends with the long weekend that represents the unofficial beginning of summer: Memorial Day. There are so many ideas that come to mind when I think about going on a picnic. I see wicker picnic baskets filled with parchment-wrapped sandwiches, plastic tubs of potato salad, cookies of all different colors, perhaps even a bottle of Champagne and glasses for a truly special occasion. I see fields of flowers, sandy beaches, and the sets of some of my favorite picnic-inspired entertainment. One of my favorites is entitled Picnic at Hanging Rock and tells the mysterious story of a group of girls in 1900 who go on a picnic to the incredible Hanging Rock rock formation in Victoria, Australia where some of them disappear without a trace. It's an amazing film that I highly recommend. My personal experience with picnics is far different from those tales. While I've had my fair share of picnics atop beach blankets, the ones I remember most fondly take place at Colt State Park in Bristol, RI. Ever since before I was born my family has been going there during the summer months. 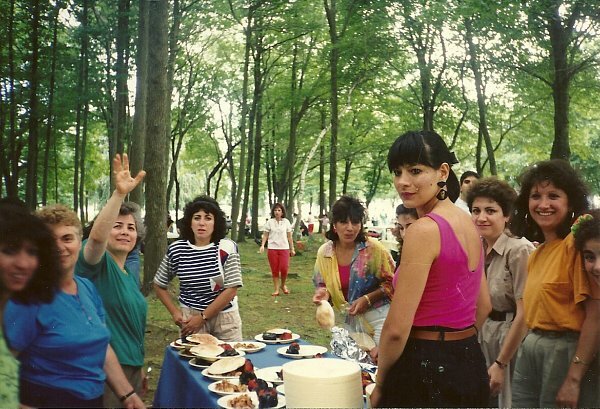 For many years we would attend the annual Armenian picnic there on Father's Day. 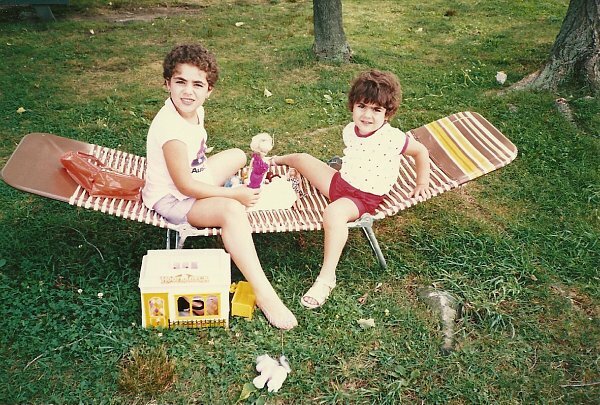 Dozens of Armenian families would collect and take turns visiting each others' picnic tables, snacking, drinking (it wasn't allowed, but they always found a way, haha! ), playing backgammon, and even organizing soccer games in the fields nearby as well as fun obstacle courses for the kids. I have very fond memories from those picnics. 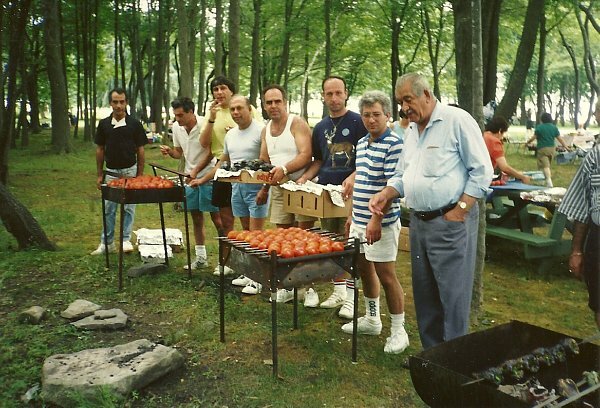 A group of the men at the Armenian picnics were responsible for grilling everything. Here they are grilling tomatoes! 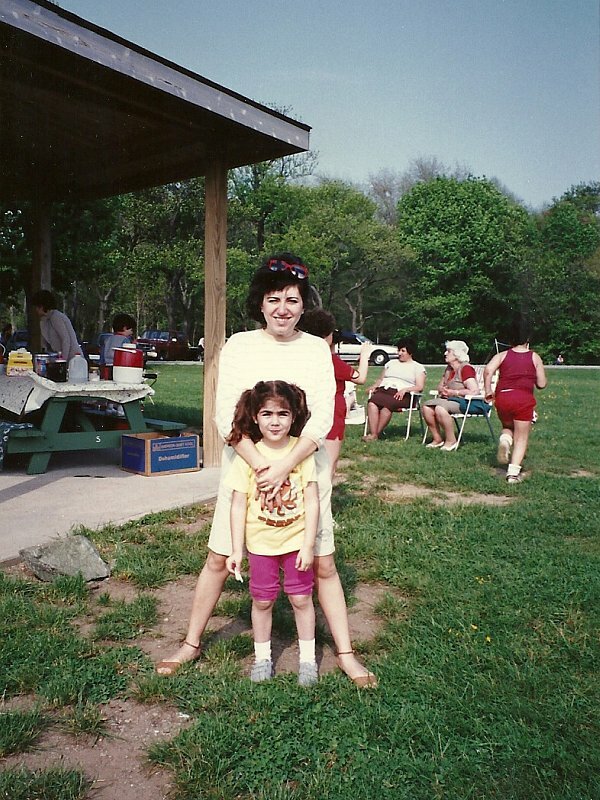 In addition to those large organized picnics, my family would go (and still goes) to Colt State Park occasionally throughout the summer for picnics. Armenian picnics don't exactly feature run-of-the-mill picnic fare. While I personally would love the convenience of showing up with nothing more than a few simple sandwiches, I can attest to the fact that a single sandwich has never been eaten at any of my family's picnics. The menu usually goes like this. We arrive in the morning with a full cooler and plans to spend the entire day there. Breakfast is hard boiled eggs (boiled at home), herbs, and pita bread. We usually stop at Dunkin' Donuts and my grandmother (formerly my grandparents when my grandfather was still alive) will pick up a box or two of munchkins, and coffees all around. 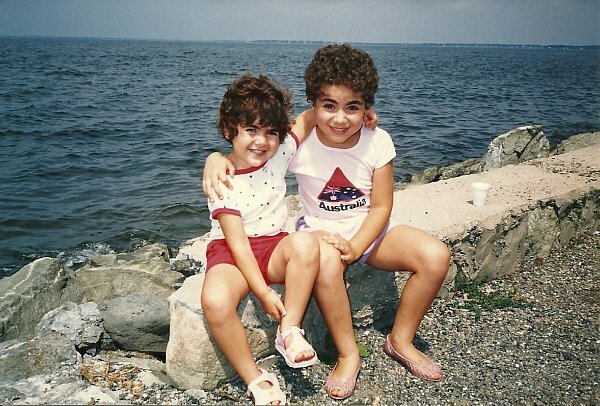 Later we would snack on sunflower seeds, cracking them between our teeth as we walk the path along the water. We've done this hundreds of times. We get started early on dinner. "Khorovatz," or Armenian barbecue, is perpetually on the menu. It's usually pieces of pork loin, which have been marinated in sliced onions and seasonings. They're arranged on long metal skewers and the portable grill heats up in anticipation. Meanwhile my mom gets started on the grilled vegetable salad. It's a fixture on our picnic menus. Occasionally, this salad will get prepped in advance at home to save trouble in making it on site, but there have been many occasions where we would be wrist-deep in grilled eggplant while listening to the sounds of the ocean. It's pretty fantastic either way. Me and my aunt! I can't believe I was once that teeny!! This salad has not only graced our picnic table dozens of times, but it's also a popular dish when we are making "khorovatz" at home. Honestly, regardless of the main attraction on your menu, this salad is an outstanding side dish which will be loved by all. It captures the smoky flavor of a variety of grilled vegetables including eggplant and bell peppers. You can definitely use different colors for your bell peppers, but this is what we usually stick with. Also, in the long history of this salad, we used to grill the tomatoes as well, but have now found that adding them raw allows them to keep their integrity much better. I hope you enjoy this stand-out grilled vegetable salad. It's truly one of my favorite things to eat regardless of what it shares a plate with (and it's healthy!). I have wonderful memories of family picnics ever since I was a little girl, and this salad was always part of it (even when I was too picky to actually eat it!). I hope perhaps it can become a fixture on your picnic menu, and undoubtedly become a favorite for your family as well. Grill the eggplants and bell peppers, turning occasionally and piercing the eggplants as needed to let steam escape, until all of the skin is blackened. The vegetables should be cooked through and tender. Place the hot grilled vegetables in a large plastic bag and twist it closed. Let them sit for a few minutes in the plastic bag to steam. This will help the skin peel off much more easily. Peel the eggplants and peppers (it helps to have a small bowl of cold water nearby to rinse off your fingers as necessary). Remove the stems from the eggplants and the stems and seeds from the peppers and chop everything into a 1/4-to-1/2-inch dice. Transfer all the chopped grilled vegetables to a large bowl. To the bowl, add the remaining ingredients and stir well. Adjust seasoning as needed and then serve at room temperature or cold.